Clean Teeth after the Sweets! – Butter, Baking, and Bacon! Clean Teeth after the Sweets! 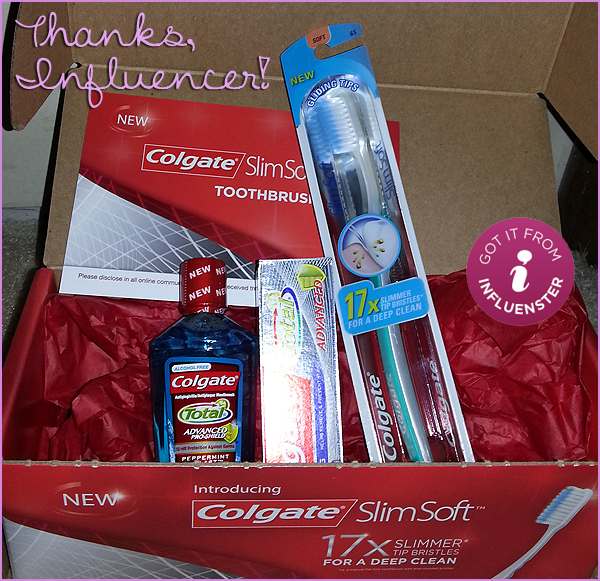 I was privileged to receive a VoxBox from Influenster to test out the New Colgate SlimSoft toothbrush, and I love it! The bristles are strategically placed and the design was perfect for cleaning around and under the permanent retainer I have in my mouth. I am very, “it’s just a toothbrush,” but after brushing with the SlimSoft, I realize that this toothbrush is far beyond ordinary! Previous Post Apple Pie Oatmeal: Fall’s Harvest in a Bowl!